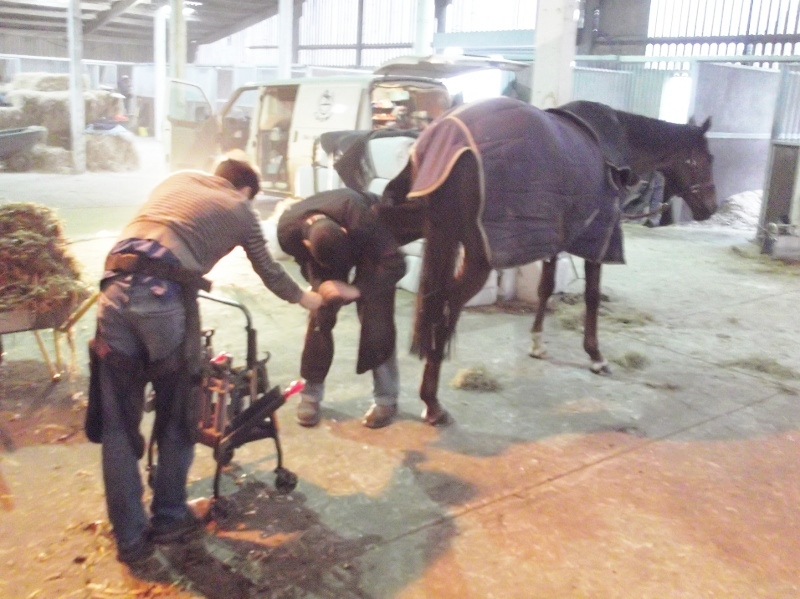 Our farriers, C & B Stern , are an essential part of the team. Their care and expertise with each individual horse keep the show on the road. Today (Friday 16th) they were in working hard. Pictured below is She's Humble who calmly stood while four new shoes were fitted. 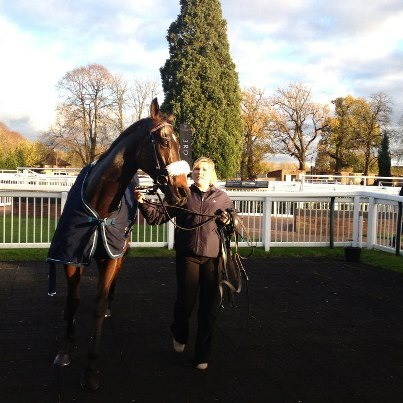 Linda's view that Rowe Park would get 6 furlongs on Lingfield's newly laid polytrack surface was vindicated when he came so close to winning a handicap there today (8/11/2012). Carrying top weight and ridden by Liam Keniry, he jumped out quickly at the start to establish himself in lead position on the rail. 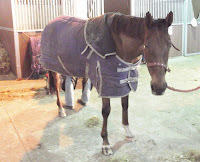 He steadied the field up from the front before kicking on from the 3 furlong marker. He entered the straight in the lead with the pack close on his heels. He gallantly ran on to the line but in a bobbing heads finish the photograph showed that the favourite had just pipped him. Still, he earned a good 2nd prize of just over £1200 and his each way backers were rewarded with odds of 20/1.